As part of our new Age of Discovery update, we’ve chosen to work on updating our story experience, with a special focus on some of our oldest missions. Our new content from Victory is Life, Age of Discovery and other recent updates has brought us fantastic environments and distinctively different content, and we want to bring up the quality of our older material to match! The first thing we’ve done is rework the flow of the mission journal. Instead of making every mission part of the story, we’ve decided to focus the story on the principal narrative arcs of the struggles of the various Galactic powers in the four quadrants. Some of our older “side” missions are no longer in the journal proper – you can still find these missions in the galaxy at large, but they’re not part of the directed journal experience. We’ve taken out the “Wasteland,” “Spectres,” “Breen Invasion,” and “2800/Lost Dominon” mission groups in this fashion, so you can still play them, you just won’t be sent directly to them as part of the leveling process. Secondly, we’ve updated the Klingon War for Federation characters. Since this is the earliest content that most Federation characters encounter, we wanted to focus on missions that told a tight story of the Federation in 2409, and on how that story’s entangled with shapeshifter infiltration of governments, an infiltration that in turn sparked the entire conflict involving the Gorn, the Klingons, and the Federation. We’ve done some light polish work on several of the Klingon War episodes, including “Stranded in Space,” “Diplomatic Orders,” “Researcher Rescue,” “Secret Orders,” and “Doomsday Device.” All of these episode have received some updates, whether in the form of new visual FX, new characters, streamlining of difficult spots, or even just squashing little bugs. Thirdly, we’ve taken out several of the Klingon War missions while we work on improving them, too. We want to give these missions the polish that will make them better, in the form of updated environments, streamlined gameplay, and a solid story. Since we can’t leave these missions in play while they’re under construction, we’ve removed them for now. Finally, you’ll notice a few new missions in the journal that are Task Force Operation missions. These missions direct your characters to participate in various Task Force Operations like Romulan Imperial Minefield or Khitomer Accord. When your captain accepts or completes one of these missions, it unlocks that TFO for the captain – so you can play some of the TFOs at lower levels now! Don’t worry if you’re a veteran, though; you still have access to TFOs when you reach level 50, even if you didn’t complete these handoff missions. 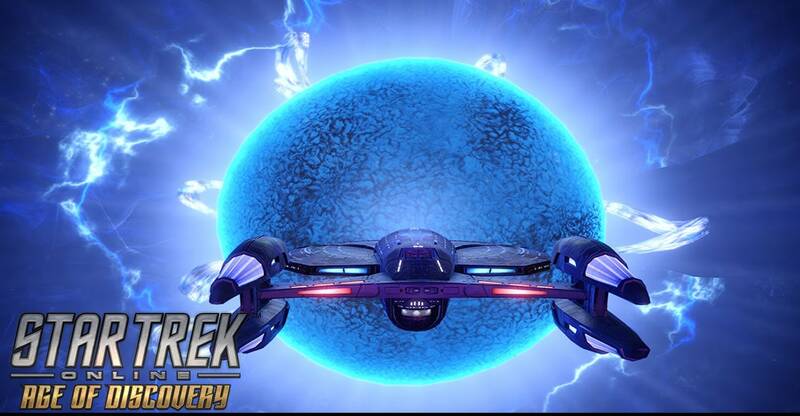 We hope you enjoy the new content coming with Age of Discovery, and there’s more still to come! Keep your eye out for notifications as we continue to add new missions, or remastered older missions, back into the flow.